Wired4Music is recruiting a summer placement! 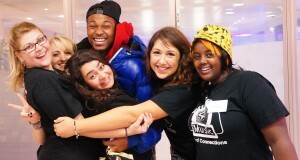 The music network for Londoners aged 16-25, hosted by Sound Connections, are looking for a dedicated and enthusiastic network member seeking to expand their experience by working alongside the Wired4Music Assistant and Coordinator in the Sound Connections office. Main duties will include assisting on the coordination of a member-led project; scheduling meetings and rehearsals, booking spaces and chasing fellow Wired members! Alongside this there will be essential network business such as updating social media platforms, promoting events, and researching musical opportunities.